So....this has to be a scam, right? Agreed. He’ll send you a check for $1800 from his “business” account and ask you to return a portion via money order. Scam will just grow and grow. eBay automatically adds in international shipping for the international ebay shipping program. Once the item arrives to the hub in Kentucky, your liability for shipping damage/lost/theft ENDS. It is now EBays responsibility. I have sold... a lot... through the global shipping program all over the world and (knock on wood) - never had an issue. That’s good info Trey. I’ve been wary to try that program. 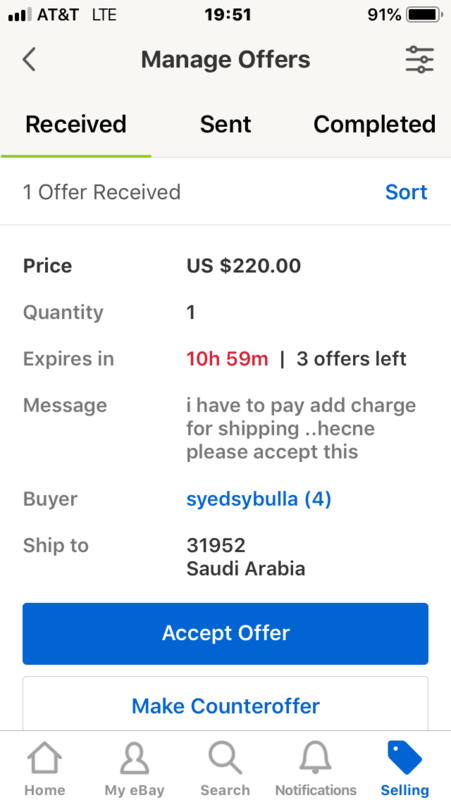 What happens if the buyer wants to return it for a refund? Here's ten bucks, go get yourself a nice Irish girl. The only reason they could return it is if you misrepresent the item. So, I usually take a video of it functioning, all angles, packaging, etc before shipment. I have completed maybe 2 dozen or so, from amps, speakers, crossovers, etc - never had any issues. (knocking on wood again) I always check the feedback, etc. More info here - but again, always due diligence before committing to any deal. I love the program though and recommend it constantly. Thanks for the post....now that you say that I recall shipping something intl long ago via Kentucky or NJ....cant recall. Anyway, I got the guy to send me a complete address so we are good. I just need him to resubmit an offer since I had to decline the first to be able to send him a message for the address. Good advice Trey thx! But clearly you don’t have any children lol...that’s a lot of extra time...but might be worth it if the sale was enough more.